Engagement is a major driving factor behind the growth of any product. As data volumes grow the ability to accurately and reliably calculate engagement metrics such as the number of active users, frequency of activity, or retention of users becomes increasingly difficult to calculate. 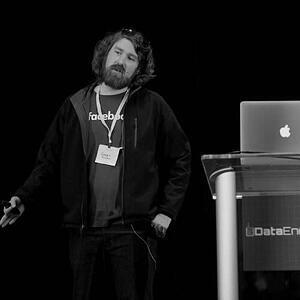 This talk will cover a mechanism, known as a “Datelist”, which is frequently employed by Facebook for storing and calculating engagement metrics in a variety of scenarios. During the course of the talk you’ll learn how to compute, read, and answer various questions using the Datelist. Corey Bort works as a Data Engineer at Facebook, with a primary focus on the Messenger Real Time Communication team. Currently, he works on building and maintaining large scale data sets utilizing a variety of tools including Python, Presto, Hive, Java and Spark.